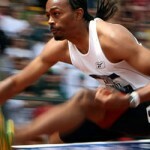 INDIANAPOLIS – Aries Merritt (Bryan, Texas) has been named USA Track & Field’s Athlete of the Week after smashing the world record in the 110-meter hurdles at the Brussels Diamond League meet last Friday in a time of 12.80. 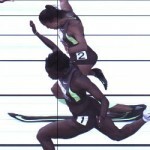 Merritt dominated a loaded field to better Cuba’s Dayron Robles previous world record of 12.87 ran in 2008. It was the biggest drop in the world record since Renaldo Nehemiah dropped .16 seconds off the mark in 1979. Merritt’s world record performance punctuated an outstanding year that saw him win Olympic gold and claim the top seven times run in the world this year. Merritt’s season ended with a winning streak of 13 races. 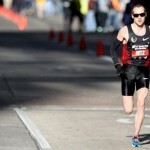 For the 2012 season, Merritt won 17 of the 21 races he lined up for since January and his eight sub-13-second races were the most ever in a single season.